Opiuo, X&G and Aztek, Crazy Daylight, Crazy Daylight Ft. Everyman, Temu and more. This show was 30th in the global funky chart and 97th in the global bass chart. 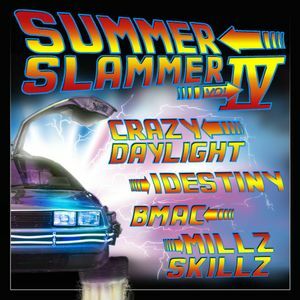 The 4th episode (I realize now that I said episode 5 in the intro *smh*) of the summer slammer mix series has arrived!!! Super stoked with the quality these boys brought to their mixes, by far the best mix of styles I&apos;ve seen on an episode yet.